He led the first battle in which Ulysses S. grant took heroic action — and did a poor job of it. But seasoned war veteran Zachary Taylor emerged from the Mexican War a hero, and won election to the presidency. 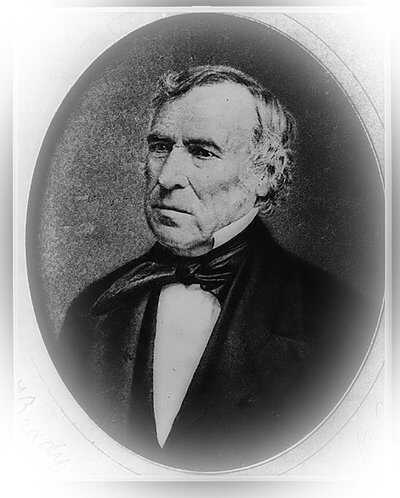 Born in Montebello, Virginia, on November 24, 1784, Zachary Taylor moved to Kentucky with his parents as an infant. Taylor grew up on what was then the frontier, and enlisted in the army in 1806. Just two years after beginning his career as a soldier, he advanced to the rank of first lieutenant. As a commander, he fought the British in the War of 1812, and Native Americans in the Black Hawk War of 1832 and the second Seminole War in Florida in 1835. His performance in the Seminole War won Taylor the rank of brigadier general. In 1845 President James K. Polk sent Taylor with a detachment of 4,000 troops to Texas. The United States and Mexico disputed possession of much of the territory there, and Polk hoped to bait Mexico into attacking the U.S. troops. Polk hoped to start a war in which America could take the disputed territory. On the president's orders, Taylor moved toward the Rio Grande, and on May 3, 1846 Mexican troops under General Mariano Arista crossed the river and attacked Taylor's men. Ten days later, the United Stares declared war. In the campaigns that followed, Taylor showed both brilliance and incompetence. At the Battle of Monterrey, Taylor unnecessarily exposed his troops to deadly fire and led them on an ineffective thrust to the center of the city. There, they were pinned down and nearly ran out of bullets. It was during this battle that Lieutenant Ulysses S. Grant displayed reckless heroism, riding alone on horseback through heavy Mexican gunfire to deliver a request for more ammunition. Taylor won the battle of Monterrey, but drew criticism for giving the Mexican commander generous terms of surrender. Those terms allowed the Mexicans to keep their weapons and created an eight-week cease-fire. An angry Polk transferred many of Taylor's troops to General Winfield Scott and ordered Taylor to fight only if he needed to defend himself. Taylor disobeyed orders, and with a force of about 5,000 men, attacked a force of 14,000 men under General Antonio López de Santa Anna. Despite being outnumbered Taylor skillfully used his artillery, forcing the Mexicans to retreat. A shrewd observer of men, Ulysses S. Grant noted that while Zachary Taylor cared little for fancy uniforms and spoke little, "on paper he could put his meaning so plainly that there could be no mistaking it." Grant himself would later be noted for the same traits he admired in Zachary Taylor. Taylor's success in the Mexican War gained him other admirers as well. Among those were the leadership of the Whig Party, which nominated him as their presidential candidate in 1848. Taylor won the election, defeating Democratic candidate Lewis Cass by a fairly narrow margin. As president, Taylor experienced much less glory than he had as a general. The victory over Mexico brought new territories into the United States, and Americans were bitterly divided over whether slavery should be allowed in them. Taylor fought to allow California to be admitted to the Union as a free state. But before the issue could be decided, Taylor was stricken with cholera, a bacterial infection that causes severe dehydration. He died on July 9, 1850, having served only 16 months of his term. 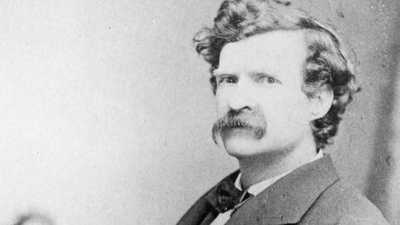 The world knows him as Mark Twain, the perpetually quotable writer of such classic American novels as The Adventures of Huckleberry Finn and Tom Sawyer. 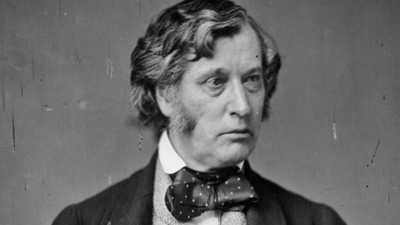 Senator Charles Sumner's outspoken support of abolition and the rights of emancipated blacks drew both praise and criticism — and almost cost him his life. 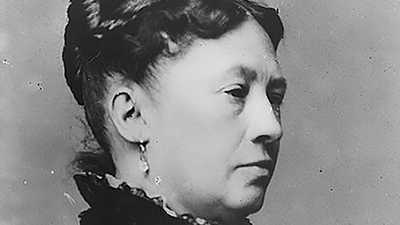 Although her marriage to Ulysses S. Grant would deliver romance and adventure, Julia suffered loneliness and hardship along the way.